There are stories that we use to explain what happened to us twenty years ago or last wee, those we use to explain why the world works the way it does, and those that we sue to "fix" the world when it doesn't work the way other stories said it should. And as the author points out in this collection of essays and interviews, some of these stories are better than others. 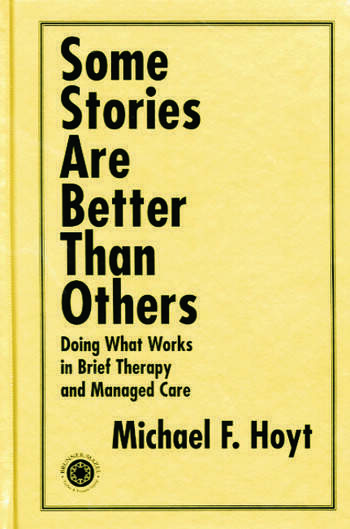 This book is an investigation into which might be the better stories and how they can help clients reach their goals in therapy. This book contains fifteen essays and interviews written or co-written by Michael Hoyt. The collection represents Dr. Hoyt's recent thinking on helping clients with the brief, future-orientated therapeutic approaches.